Well, I was hoping to post a lot of reviews that related to T.V. shows this month, in fact it was going to be a January month themed around some of my favorite TV series including “ The Walking Dead”, “Game of Thrones”, old classics like “The Twilight Zone”, “Star Trek” and old sitcom favorites like “The Fresh Prince of Bel-Air”. But due to complications and a busy schedule, I didn’t have time to finish them. So without wasting the chance to post something TV related this month, here’s quick little tribute to the television of my childhood. I was from a generation that was raised by television and it was animated TV shows that I obviously watched more then anything. But what to discus, there’s so many different cartoons from the 90’s and early 2000’s to cover (that was my generation). So to do this properly, I’m going to pool out my five favorite animated shows from the stations that I most commonly watched, this means my five favorite Kids’ WB shows, five favorite animated Disney shows and five favorite Cartoon Network shows, etc. In the end, I’ll have rounded up my personal top 20 favorite animated TV shows. 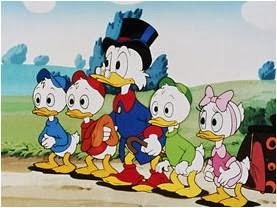 Of all the TV stations I grew up with in the 90’s, I watched Disney cartoons more than anything. That was Disney channel’s golden age, featuring some of their most timeless TV shows and any child who grew up with them will always have long lasting nostalgic fondness. 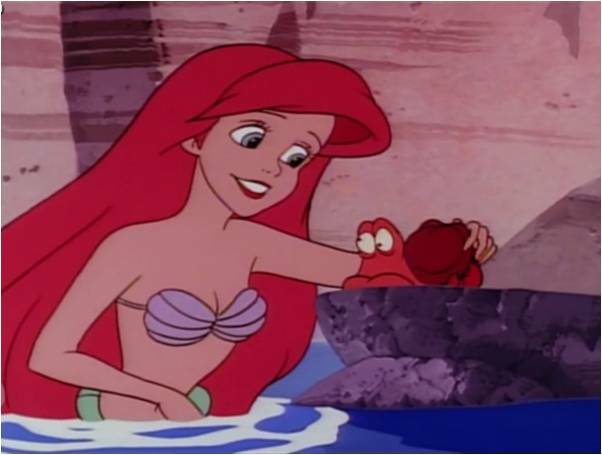 I gradually stopped watching Disney back in 2001, but the shows I did grow up with were so captivating that they shouldn’t go without mention. This wasn’t the first, or the last Disney TV show to be adapted from one of their movies, but for whatever it’s worth, I remember watching this one far more than either the “Aladdin” or “101 Dalmatians” spin-offs. 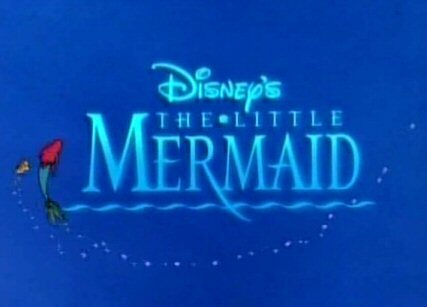 You wouldn’t think that a princess themed show would be that interesting to a small boy, but The Little Mermaid series was actually just as much for boys as it was for girls, if not more so. It gave us underwater adventures that revolved around defrosted Dinosaurs, fire breathing sea dragons, an ancient Cyclops, pirates and evil doctors. Fortunately, everything balanced out with its wholesome characters, a colorful underwater world, musical numbers and good moral values for young viewers. 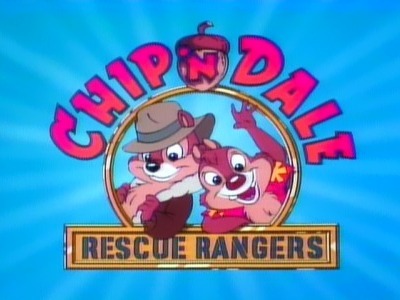 Oh, I loved “Chip N Dale Rescue Rangers”, with its cute animal leads, colorful animation, fast paced adventures and insanely catchy theme song, this is the show that literally made Disney Channel a house hold station for me. Seriously that theme song was just so catchy that after all these years, it’s still bouncing around in my head. As part of the Disney Afternoon line-up, Chip and Dale paid tribute to Indiana Jones and Magnum P.I., respectively, solving crimes too small for the full-sized police to handle. It may sound silly giving these classic Disney cartoon characters a CSI makeover, but it was all done so well. 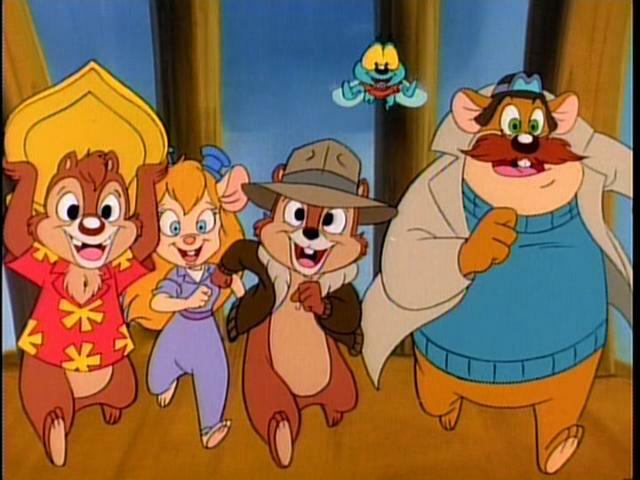 Each mystery had their own moral tied in, and the new supporting characters like Gadget, Monterey Jack and Zipper were great fun to watch and once again. Once Disney got hold of the rights to Lucas films it was no surprise that an animated “Star Wars” show was on the horizon. What did surprise me was just how much I loved the new series. It proved to me that “Star Wars” still had a lot more fresh ideas and fun space adventures to offer. 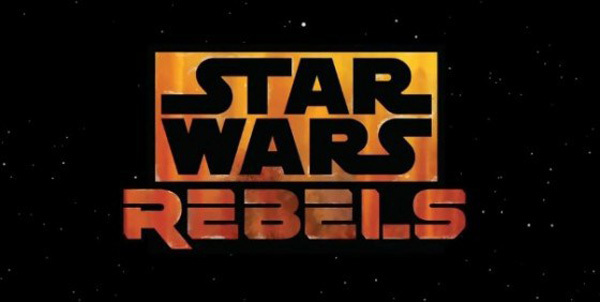 “Star Wars Rebels” focuses on a small team of hero’s that are standing up to the terrine of the all controlling evil Empire. So it’s like an animated version of the 2002 TV series “Firefly”, just set in the “Star Wars” universe. 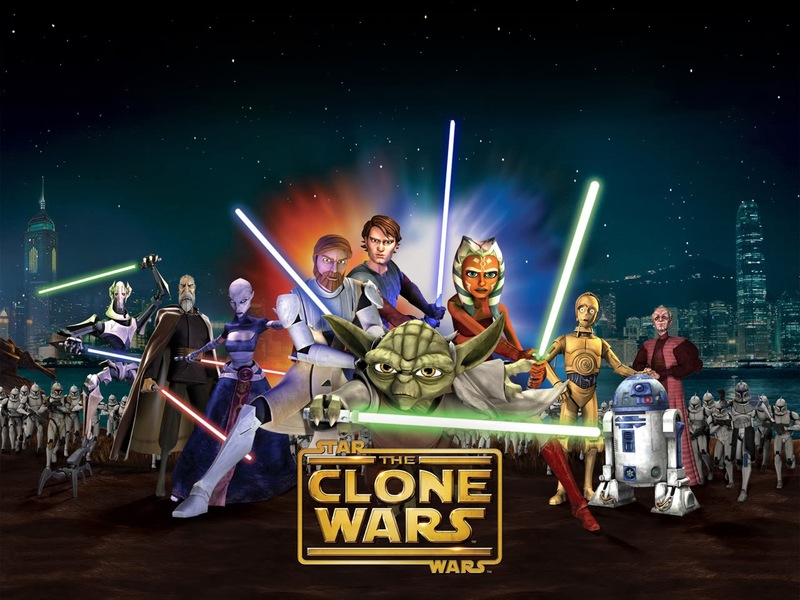 The series simultaneously works as a sequel to the previous TV series “Star Wars The Clone Wars”, by giving closure to some loss story arcs and brings back some fan favorite characters. The show was also kind enough to bring in classic characters from the original trilogy, but they were all used sparingly, most especially Darth Vader who’s brief appearance still stole the show. With a completely original cast of colorful new characters, a brisk pace, awesome battle scenes and even a subtle sense of hummer, this show accomplished the unthinkable and stands as yet another great entry in the ever expanding “Star Wars” saga. In the strange little town of Gravity Falls, twin siblings named Dipper and Mable spend their summer going on wild and hilarious supernatural adventures. Watching over the kids is there cranky old uncle named Stan, who makes his living as an expert con-artist. This show came well after my childhood had passed, but word of mouth got around for me, and upon my first viewing I realized that series was right up my alley. It’s got the spooky charms of shows like “Goosebumps” or “Courage the Cowardly Dog”, with the brilliant comedy one would expect from shows like “The Fresh Prince of Bel-Air” or “The Simpsons”. 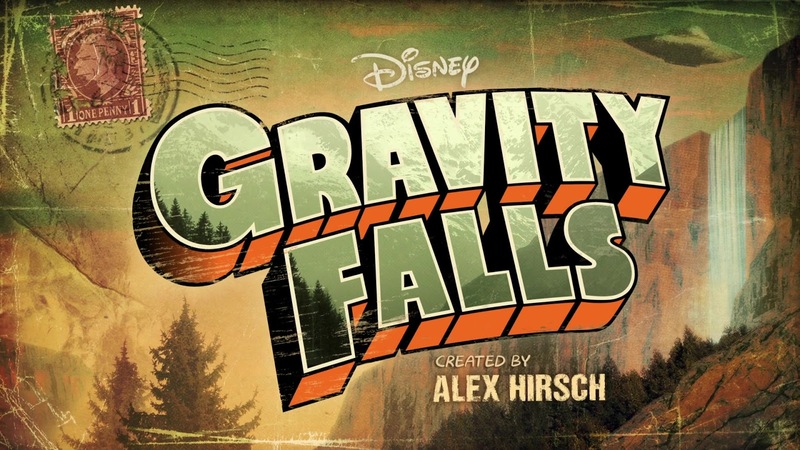 Unlike other Disney programs, I was quiet surprised with just how funny this show got, as well as how exciting it got. It had an engaging mystery plot that was slowly unraveled, but more to the point, it just had a splendid cast of characters that I loved going on adventures with. I loved the atmosphere, I loved the creepy moments and the cast was solid. Interesting that my favorite Disney TV show is nothing like traditional Disney material. 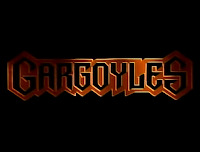 To be honest, Gargoyles was whole different league and far to good for the Disney. 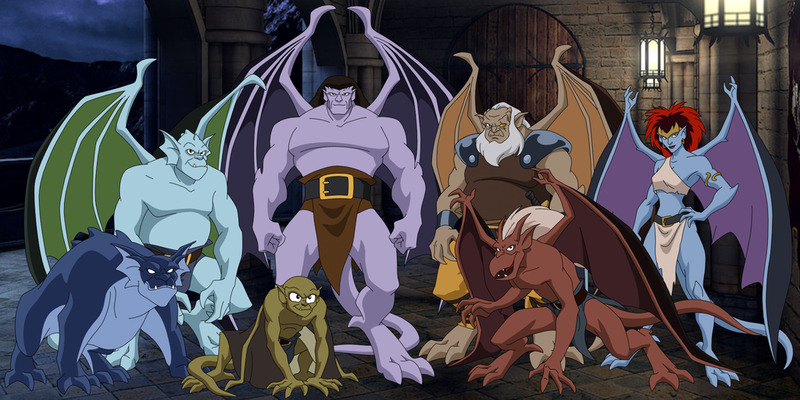 This was like the Batman of Disney cartoons, focusing on dark, complex, melodramatic storytelling and episodes chalk full of action, adventure, mystery, mythology, and history. The show had a short run, but it still left a big impact, focusing on a tight group of memorable characters, fascinating villains and thrilling story arcs. It had a different look, took risks and should be cited as one of the great classic action series of the 90's. 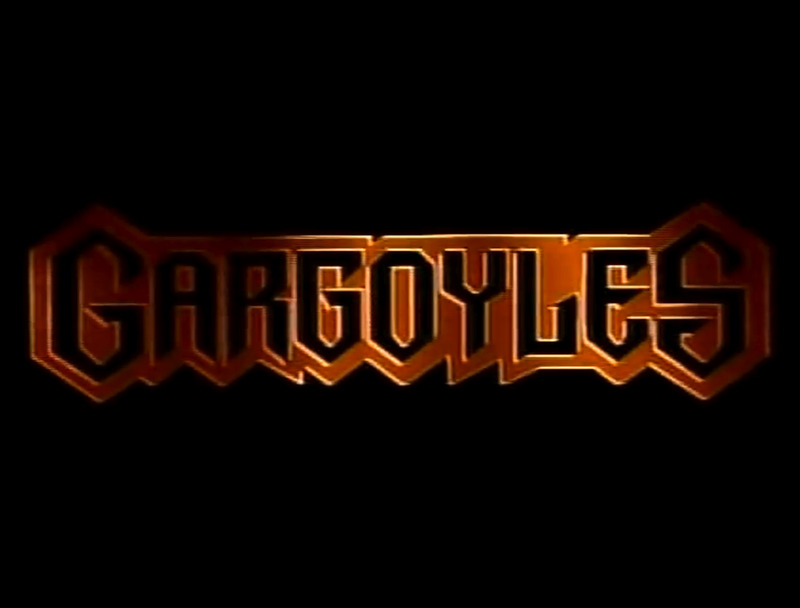 Calling Gargoyles my number one favorite Disney channel show is honestly an understatement because it's still to this day one of my personal favorite TV shows of all time. Honorable Disney Mentions: "Duck Tales", "The Classic Micky Mouse Cartoons" and "Aladdin"
I was a child in the 90’s, but my official childhood began in the early 2000’s and the one children’s station that I watched more than any other at the time was Kid’s WB. This is the station that always got me up early on Saturday mornings and delivered a wide variety of unforgettable animated TV shows. This is the Spider-Man adaption that nailed everything we love about our favorite web-swinging hero. This includes fully developed characters, the complications of being a hero, sensational action scenes, a wonderful sense of hummer, witty banter and some of the best renditions of Spider-Man’s classic villains. 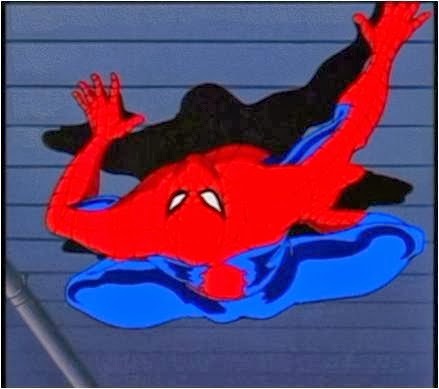 If it wasn’t for the short run list of 26 episodes and the unresolved cliffhanger ending, I’d go so far as to say that it’s Spider-Man’s greatest TV adaption, but I will say that it’s better than just about every theatrical Spider-Man movie. 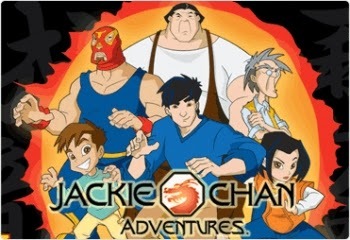 If you were a child in the early 2000’s, you had to be a fan of “Jackie Chan Adventures”. This was one of the coolest adventure shows from our generation, combining Kung Fu action with Indian Jones style adventures involving temples, magical items, various locations and urban myths. The enemies in this show ranged from ninjas, to crime lords, to evil wizards, to giant monsters and that only made the show more fun to watch. 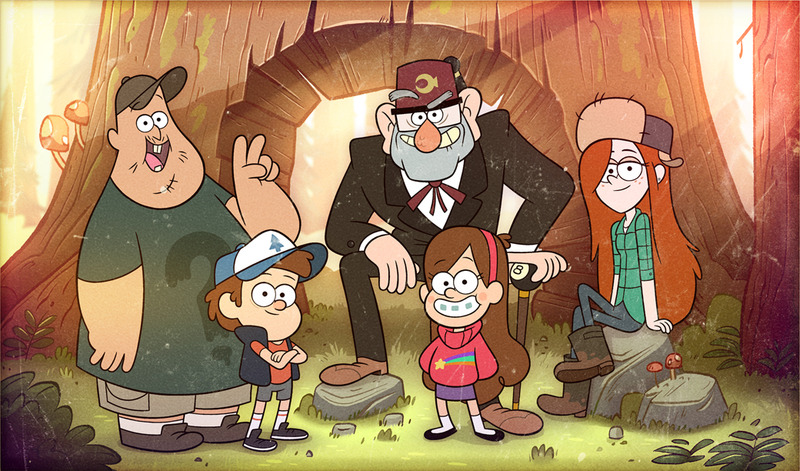 I’ll admit, I never really liked any of the main characters but I suppose they were good enough and let’s be honest, we didn’t watch the show for the characters, it was always about the adventure. Audiences will always be fond of “Batman: The Animated Series”, however, I regrettably didn’t grow up with that show the same way I did with this one (At least on this station). 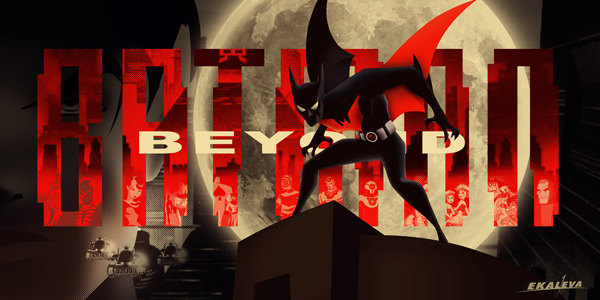 “Batman Beyond” was a surprisingly worthy follow up in the Batman universe, with all the same gothic story telling that the Dark Knight was praised for, just with some techno-filled style and action thrown into the mix. An integral part of the show was the inclusion of an elderly Bruce Wayne (still voiced by The Animated Series' Kevin Conroy), who gave our young new hero guidance while trying to move beyond what were clearly some bitter tragedies. It was smart, exciting, had a fun gallery of original villains and led to one of the greatest direct to video, spin off movies ever made. 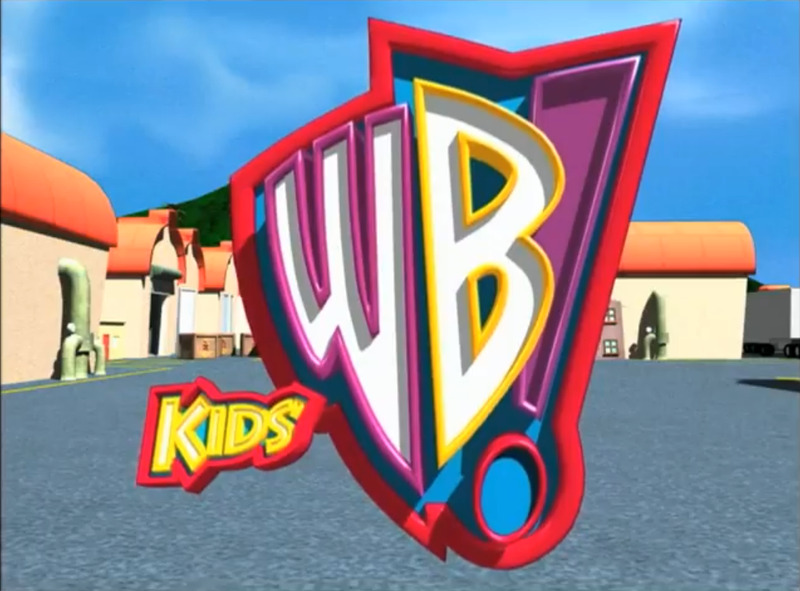 My generation was full of English Dubbed Japanese Anime programs, and Kid’s WB was like their home station. 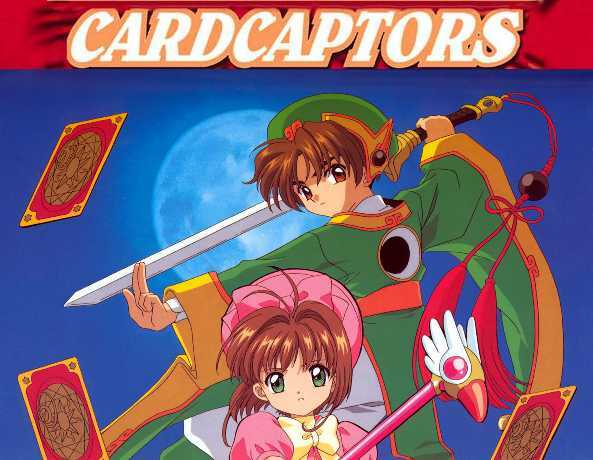 The two most popular English Anime programs at the time were “Pokémon” and “Yu-Gi-Oh”, while I do recall watching both of those shows a lot as a kid, my personal favorite Anime that I think still holds up now is Cardcaptors. The best way to describe this show is imagine the two aforementioned anime meet “The Twilight Zone”. Let me start by saying that the original Japanese version of the show is far superior to the Americanized version, mostly because the English version was heavily edited and missing key scenes from the series. Having said that, the Kid's WB version is the one I grew with and the one that I have the most nostalgia for. The series revolved around an innocent, normal everyday girl named Sakura who would occasionally have to save the day from magical oddities that would randomly accrue in her home town. The plot goes deeper than that, but bottom line, this show struck a perfect balance between exciting fantasy adventure and the simplistic life and times of this very lovable lead character. Most of the characters were all very fun to spend time with, and I love that there wasn’t even a villain ... at least until the last season. The animation in the show was beautiful, l just loved the colors, the shots, the angles, and the overall design of the series. While I’ve never been a huge Anime fan, "Cardaptors" is still little gem from my child hood and it’s the only one from Kids WB that I really don’t mind looking back on. It was magical, it was exciting, it had atmosphere and one of the most epic opening theme songs I've ever heard! The X-Men are personally my favorite superhero characters of all time, and personally, this is the show that started everything for me. On a side note, this was actually where I found myself getting into comic books, and I’d never be the same after it. There’s plenty of other comic related material that I’m fond of but none of them ever seemed to hold a candle to this team. Focusing more on themes of prejudice and acceptance takes the X-Men just one step beyond other superheroes. 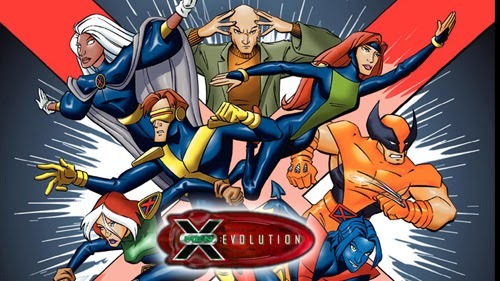 Also, the X-Men felt the most human in this particular show, unlike other renditions of the team, where there displayed as colorful hero’s that saved the world from super villains, “X-Men Evolution” focused on them as common everyday people that are just trying to find their place in the world. Despite some really mixed-hummer, this show made my favorite team of hero’s far more relate-able and identifiable than any other incarnation, and honestly, it’s one of the few animated TV shows that I still enjoy watching as an adult. Honorable Kid's WB Mentions: "Yu-Gi-Oh! ", "Static Shock", "Max Steel" and "The Batman"
Cartoon Network certainly lived up to its title, their shows were definitely cartoony, mostly playing for laughs, which made it a fun off set to the Disney and Kid’s WB shows. True, they had some action shows, as we’ll see on my list, but for the most part, their cartoons were wild and over the top. This laugh out loud, funny cartoon about an absentminded man bent on hooking up with the hottest girl he comes across was so stupid and over the top, that I just couldn’t leave it alone. There really isn’t much to be said about this one, it was all just mindless fun with a mindless character and lots of comedy thrown in-between, what’s not to like. This is the only animated series on my list that’s currently on air, and the only reason I’m watching it is because I love DreamWorks’s “How to Train Your Dragon”. 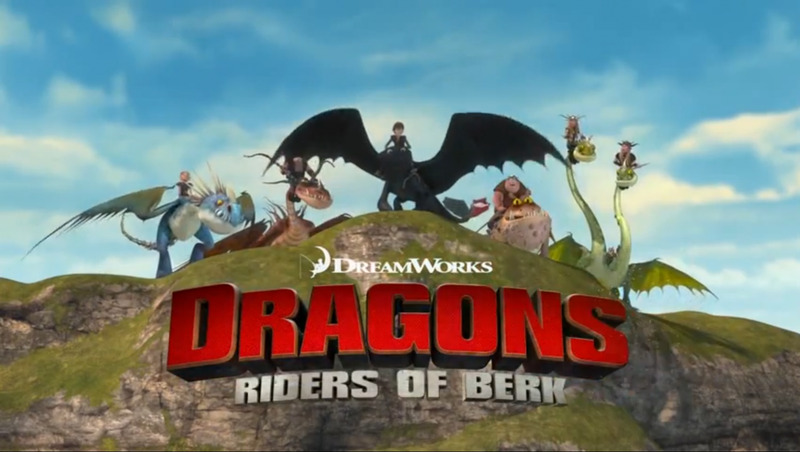 This show follows after the events of the first movie and focuses on our young dragon riding hero’s as they go on countless adventures, battle enemies and encounter some awesome dragons. 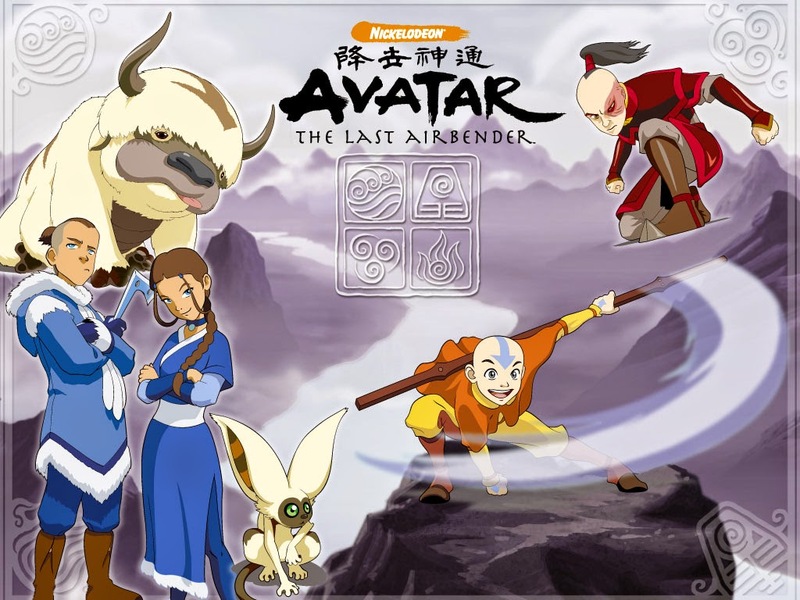 Unlike other shows based on DreamWorks motion pictures, this one still has its more mature, slightly dark and charismatic storytelling that was so captivating in the movie. Thankfully, it has just enough charm and pleasant hummer to balance everything out and the result is a welcome addition to the ever growing “How to Train Your Dragon” franchise. This was yet another classic comedy show from Cartoon Network that was nothing short of wild, bubble headed fun. 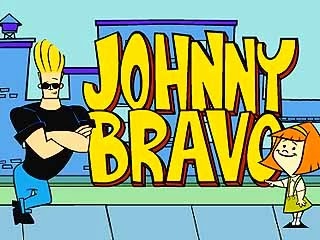 Unlike Johnny Bravo, this show had more to offer then just mindless joking around. It indulged in our biggest childhood fantasies, which is taking a regular every day home and turning into a crazy world of science and technology. The show was all about a regular, everyday boy who just happened to have a giant, underground laboratory underneath his house, and I think every child at some point fantasized about their own high-tech world that their parents were completely oblivious about, I know I did. 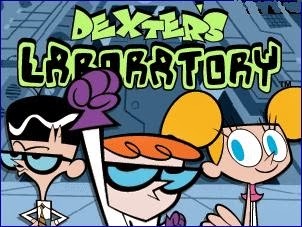 Wildly imaginative, full of energy and packed with laughs, Dexter’s Laboratory still stands as my favorite of Cartoon Network’s classic comedy shows. Expanding on the Star Wars universe, delivering one action packed, Sci-Fi adventure after another and includes the best storytelling and most memorable characters in the series sense the original trilogy. 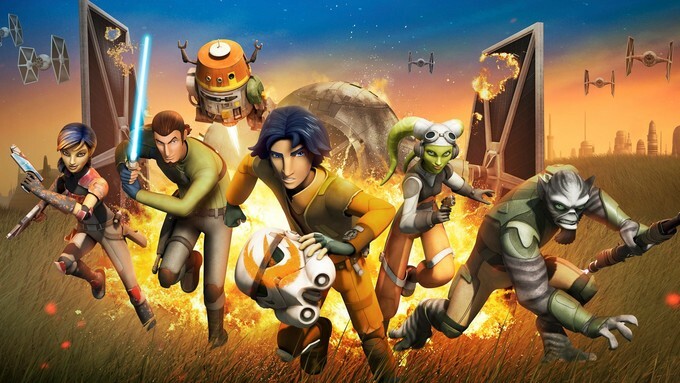 While the animated “Clone Wars movie” was nothing special, this big budget TV spectacle surprised the hell out of me and made me a fan of the Star Wars all over again. It was faced paced, took enough time to flesh out the characters, introduced us to awesome new villains, even bringing back familiar favorites like Darth Maul and told stories that were closer to the lore and mythos of Star Wars then any of the theatrical Prequel movies. This is the ideal superhero show that I just couldn’t get enough of, paying tribute to Japanize anime and birthing new life into the superhero genera that phew other shows every did. It was unlike any other of its kind, finding a flawless balance between the high stake, action adventures that we’d normally expect from a comic book adaption and combining it with a cartoony sense of hummer that was all its own. It could be laugh out loud funny, it could be dark and serious, sometimes providing character-based stories that often delved into the troubles of being a teenager, other times we could just kick back and have fun with them. This style was very appropriate for this specific team because unlike the X-Men or the Justice League, these heroes were still kids and this show took full advantage of the fun things that wide eyed, youthful teenagers do. Even the villains ranged from sinister and frightening to comedic and silly. 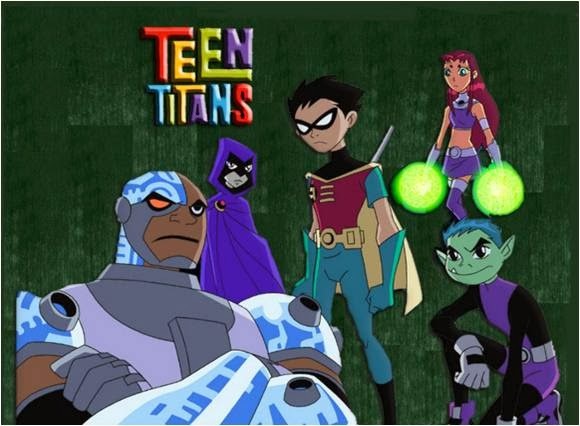 While the shows style was way out there, it still stayed true to the source material, recreating some of the Teen Titans most classic stories and providing an unforgettable cast of young hero’s that I personally think outshine the big league superhero groups including Justice League and even the Avengers. Honorable Cartoon Network Mentions: "Star Wars: Clone Wars" and "Justice League"
I titled this one “Additional shows” because I don't have a fourth station that I watched as a kid, but I do still have other beloved animated shows from other stations, so here are my top 5 additional animated TV shows that don't belong to a single station. I’ll admit, I never even knew about the classic Transformers cartoon from the 80’s until the live action movie came out in 2007. 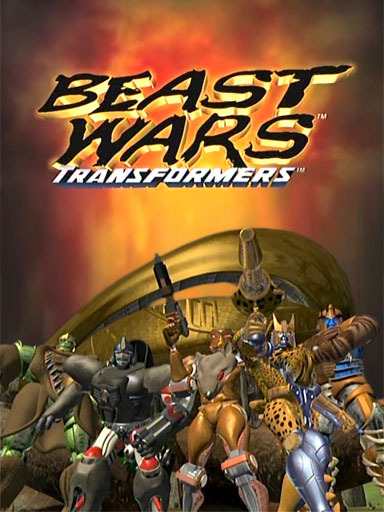 The only Transformers show I grew up with was this powerhouse, CG animated TV series called Beast Wars, which is actually one of the very first CG animated TV shows ever made. This series takes place on prehistoric earth, where the Transformers have taken the form of earths animals. Packed with state of the art animation, a gripping struggle, a tight cast of characters, bombastic action, a subtle touch of comedy and some surprisingly mature storytelling, including one of the most noble hero death’s to be featured in a kids show, Beast Wars still remains my favorite incarnation of the Transformers. 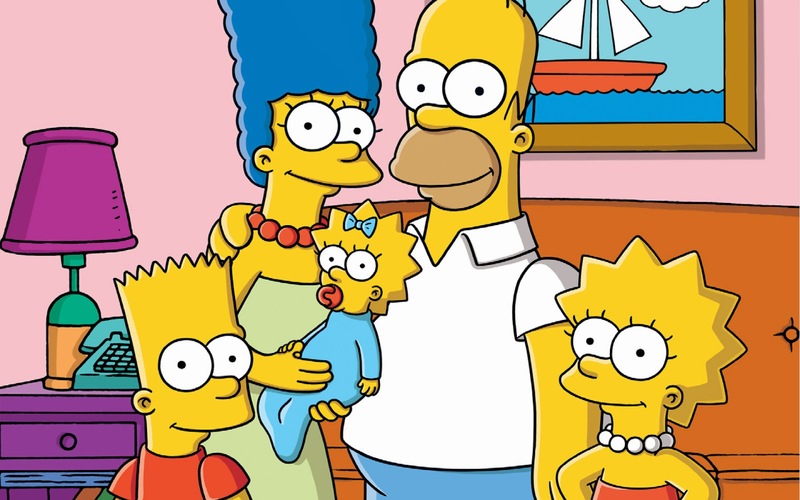 Even though this show has overstayed its welcome, there’s still no denying that “The Simpsons” is a gem and one of the most classic TV programs ever created. It’s one of the first great comedy shows I ever saw, with brilliant writing and no shortage of side splitting hummer. I don’t even know what else I even need to say about it, it’s so classic and immortalized in our pop culture that even its declining quality over the years can’t keep it off my list. It may seem a little repetitive to list more than one Spider-Man show, but I couldn’t do this without including the very first superhero series I’d ever seen. Yes, Spider-Man was my hero growing up and after all the years, this show still stands as one of Spider-Man’s best interpretations ever. 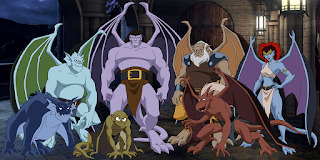 This show took it’s time focusing on Peter Parkers more human struggles, living his life as a superhero, while also providing a cast of memorable villains, engaging story arches, bigger budget animation and multiple crossovers with other classic hero’s from the Marvel universe, including the X-Men from the classic 90’s cartoon. 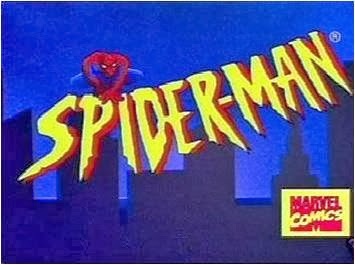 The writing may not be on par with “The Spectacular Spider-Man”, but its nostalgia factor and increased episodes win it over by a hair. 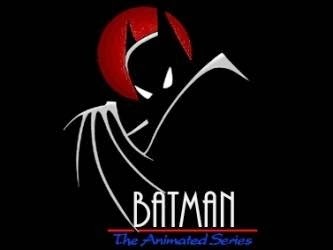 Good old Batman, I think every favorite TV series list on planet earth should include this classic gem from the 90’s. This is the Batman series that brought the complex hero to life with more dignity and style than anything else adapted from the comic in the media, with the small exception of Christopher Nolan’s Dark Knight trilogy that wouldn’t come out until many years later. 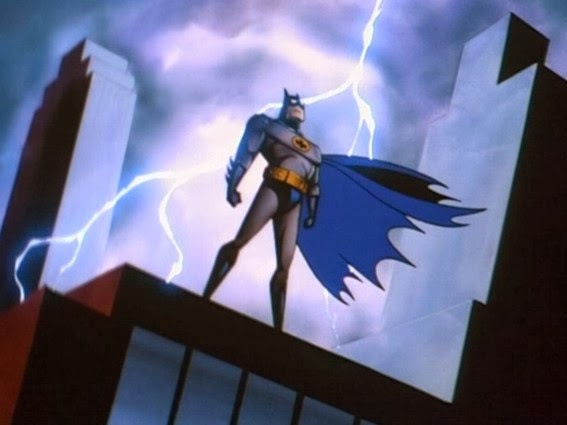 With its dark visual style, mature storytelling, strive toured cinematic complexity and unforgettable list of episodes, including a sensational theatrical spinoff, “Batman: The Animated Series” will stand the test of time as one of the greatest cartoons ever. 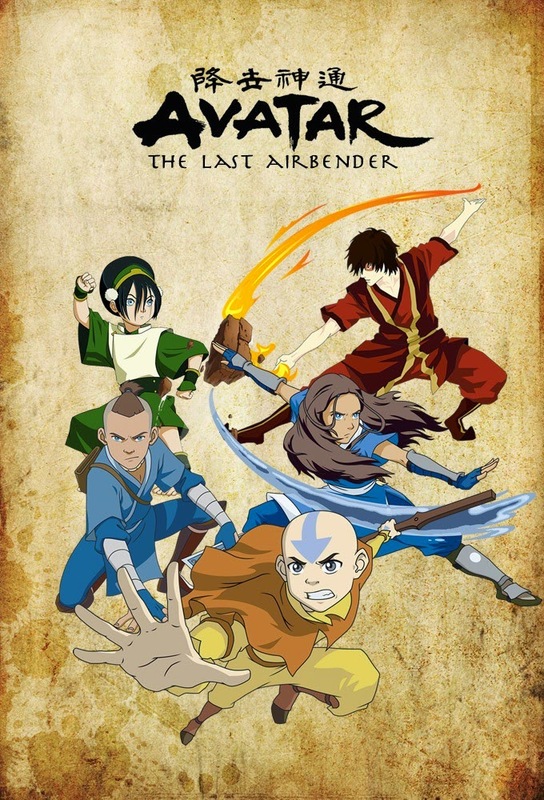 With its griping stories, lovable characters, hilarious comedy, thought provoking morals, stealer animation and intriguing philosophies, “Avatar: The Last Air Bender” is simply one of the greatest shows I’ve ever seen, and I don’t just mean animated shows, I mean it’s one of my all time favorite TV shows in general. It’s a show that pulled no punches, it was fun for children but also smartly constructed for adults, plus everything just came to life on an epic and grand scale. Honestly, I think it was so grand, epic and exciting that it put Hollywood blockbusters like “The Lord of the Rings” movies to absolute shame. The characters were all brought to life so well and were so much fun to go adventuring with that they practically leaped off the screen. I also love that this show knew how to have fun with itself, even when balancing dark themes, complex drama and legitimately adult morals. In a media full of TV shows that go on for too long, or end on unsatisfying conclusions, this show had just the right length and ended on the perfect high note a series could end on. 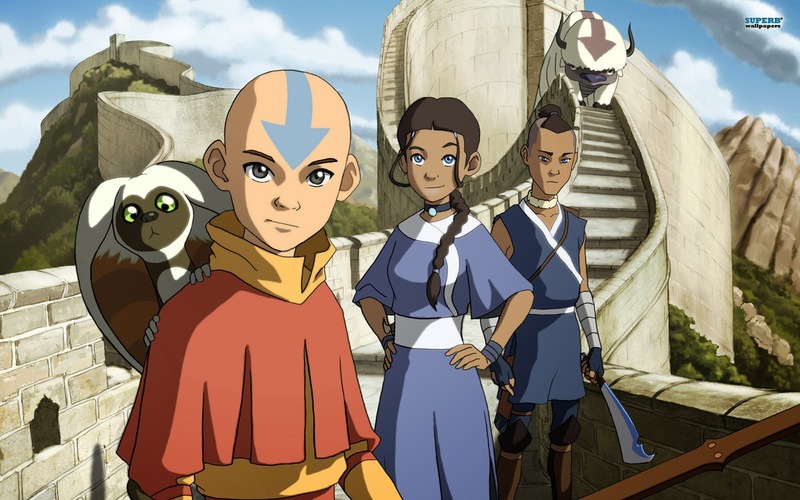 “Avatar: The Last Air Bender” had size, passion, comedy and a fantastic cast of scene stealing characters, it’s one of the best animated shows I’ve ever seen and one of my favorite TV shows of all time. Honorable TV show Mentions: "X-Men", "The Magic School Buss", and "Wolverine and the X-Men"
So that concludes my tribute to favorite animated TV shows, sometime soon, I hope to review more live action TV shows that I’m fond of. Maybe later this year I’ll have a proper TV themed month but for now, I have something special planned for the month of February. With RentalCars you can discover the most affordable car hires at over 49,000 locations worldwide. Wickedly awesome almost every signal one matches The ones i love and Remember. Only If I could Watch Them At Home.you have Great Tast.